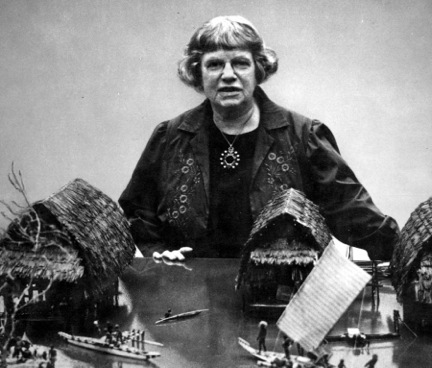 Berghahn Books - Why Remember Margaret Mead? To commemorate Margaret Mead’s birthday this month, we’re honored to share a short piece from her daughter, Mary Catherine Bateson. Bateson is an anthropologist and the author of many books, including Composing a Life. 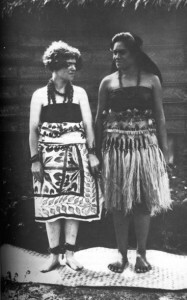 As she notes below, 2015 marks the 91st anniversary of Mead’s trip to Samoa in 1925, when Mead did her fieldwork resulting in the seminal book Coming of Age in Samoa. Working closely with Mary Catherine Bateson and also Professor William O. Beeman, Berghahn Books republished six volumes of Mead’s writing, with new introductions, in the early 2000’s. 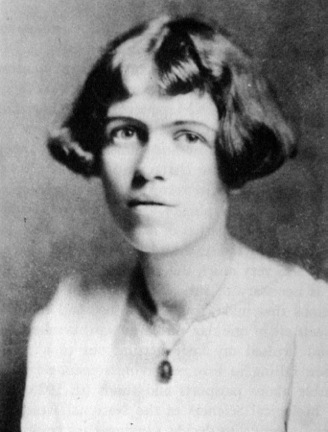 We’re pleased to announce new discounted prices on all titles in the Margaret Mead: The Study of Contemporary Western Culture book series, and we’re offering FREE access to this chapter titled Talks with Social Scientists: Margaret Mead on What is a Culture? What is a Civilization? from Studying Contemporary Western Society for a limited time. Margaret Mead was the most famous anthropologist in the United States in her lifetime and arguably remains the best-known anthropologist ever. She was born on December 16 in 1901 and died in 1978, but many of her writings were reissued with new introductions at the time of her centennial in 2001, including the series published by Berghahn. She was committed to speaking to the general reader, avoiding jargon, writing a column for Redbook, and appearing on talk shows, which produced both envy and scorn in some colleagues. Her interest in addressing the general public was rooted in the conviction that our knowledge of the customs and beliefs of other peoples adds to our sense of human possibility and therefore to our freedom. Unlike other species, human beings survive almost entirely by learning, rather than by instincts. By the time we become adults we have come to regard much of our most basic learning as self-evident and “natural.” Yet, the more we understand about human diversity, the greater the possibility that we can make the choices necessary for wellbeing and survival. Photo from Blackberry Winter: My Earlier Years. 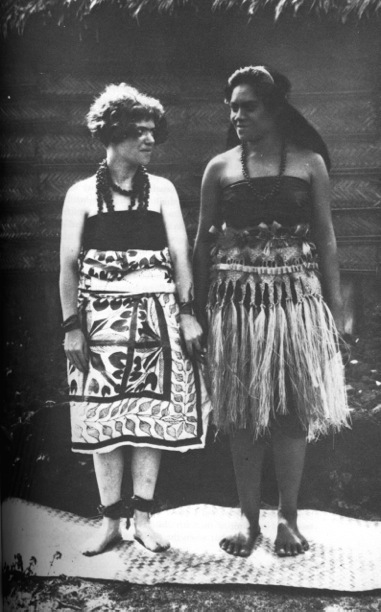 Margaret Mead just before leaving for Samoa in 1925. Photographer unknown. World War II led to a new focus, with the concept that the character of members of modern, industrialized societies could be studied by examining childhood memories and the themes found in art and literature. Ruth Benedict did a study of Japanese character, Mead wrote about American character with its mixture of pragmatism and idealism (the book title was And Keep Your Powder Dry ), and she continued developing techniques for studying how cultural differences affect international relations until the mid-50s. 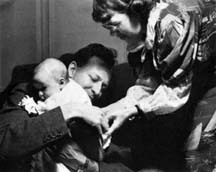 Gregory Bateson with baby Mary Catherine 1940. Photo by Jane Belo. Her first postwar field trip was in 1953, back to the Manus people in New Guinea, whom she had studied in the 30s. From this trip on, her focus was on change, particularly on purposive change, for the Manus, unlike many preliterate peoples who were demoralized by contact with outsiders, had chosen to restructure their way of life (the book title was New Lives for Old). She was increasingly concerned about the need for international cooperation, nuclear war, and dangers to the environment. Mead in the American Museum of Natural History around 1970. Photo by Ken Heyman. In 1975, she received an award from the Fogarty Foundation that included funds for a conference on a topic of her choice and resulted in a book called The Atmosphere: Endangered and Endangering, with contributions from a full range of physical scientists. At that time, most scientists were focused on the ozone layer and climate change was called the “greenhouse effect.” Mead recognized that the key issue of the atmosphere and the oceans was the need for a level of international cooperation that has yet to be achieved. The human future had become her primary focus, and is the main theme of the volumes published by Berghahn. Mary Catherine Bateson is the daughter of Margaret Mead and Gregory Bateson and was the President of the Institute for Intercultural Studies (founded by Mead) from 1979 to 2007 when it was dissolved. She has taught at Harvard, Northeastern, Amherst and George Mason University as well as in Iran and the PHilippines. Her most recent book is Composing a Further Life: The Age of Active Wisdom.